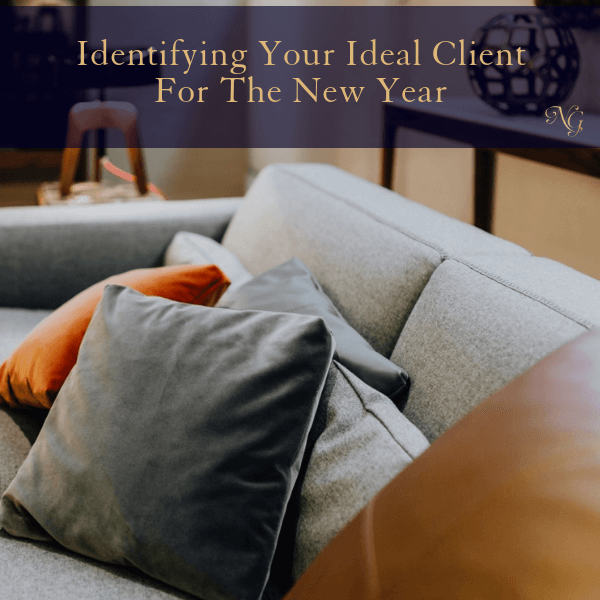 It is still so early in the New Year, and as your interior design business coach, I have been thinking about your ideal client and how you can get laser focused for this first part of the year. I know, I know… You can google this subject, and you’re going to find so many different methods. I’m going to give you a few really simple techniques. Not only are they simple, but I know they work because I use them myself! Look at the past clients that you’ve had. At the end of the job were you delighted? Did you feel satisfied? Were they thrilled and felt happy?! That right there is your big clue to discovering most of your ideal clients. Really, sometimes what you need to know about your ideal client is right under your nose and staring you in the face! Ask them something like “I have a client/past client survey that some of my clients use, would you mind taking it?” It could have questions like “Why did you hire me when you first had that consultation with me?”, “What is it about me or what I said that made you hire me?” That will be such great information for you! You start to hear the words used that convinced them to hire you! You can go a step further and compare old surveys to see if past clients said similar things. THERE! Now you have a secret arsenal into the mind of your ideal client, and how to get hired by more of them! Keep the internal questions going! What was it about past projects you’ve shown your past clients that really caught their eye. Ask yourself how people responded to different projects you’ve shown them in the past. Can you use those projects as a hook to get more of those ideal clients? Internally ask yourself, Who are my ideal clients? Are they male? Are they female? Are they couples, with a young family, or working single people? Are they a divorced dad, a divorced mom, and then say, where did they live? What do they do for a living? What are their interests? And what books do they read? What magazines are they looking at or checking out? Ponder all the past clients you can remember and filter them through these questions. As you sit still laying that all out for a while – all of a sudden, what will emerge is this light bulb like, “Yeah!, These were my ideal clients!” The people who fall into the same category as these past clients who loved working with me and I loved working with are my ideal clients. So that’s a starting point for you – identifying them. Sometimes we can zoom in too deep, too long and miss other hidden groups of our ideal client! Maybe specific real estate agents might be a perfect client. 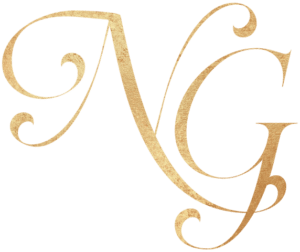 What if some up and coming boutiques are your ideal clients? Think outside of the box to make sure that you are not missing anyone. Did you forget to ask who so and so was? They could be your ideal client. Follow up with that past client and see if that would still be a good connection to make. Or, if they have already given you the contact information, be sure to check in and see how you can be of service. 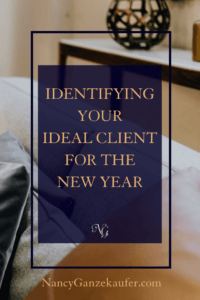 In closing, I believe that the earlier in the year you can revisit this and get clear on your ideal client, the more quickly you can set yourself up for a prolific year in business and see those profit margins go to the next level!